These Korean Yuil M-09 Lightweight aluminium handcuffs have anti-shim protection! These are extremely, extremely light-weight, to the point of almost feeling like toys. But I can assure you that these are not toys. They are very strong handcuffs. They come with 2 keys, special 2-bitted keys. However due to a lessening of quality standards at Yuil, you can usually open their handcuffs with a standard handcuff key, with varying levels of ease in doing so. But they do work as designed. Their keys work flawlessly and the function works fine. The tolerances could be tighter, because there is some lateral play in the arm, meaning you cannot guarantee the teeth will lock if you snap them around someone's wrist with a single motion, because the arm may bounce off the side of the cheek places on either side and require you to squeeze them to the correct level of tightness. Not a big problem but still, another quality issue that could be resolved. Over all I do like them and I have altered my thoughts about Yuil, away from "They need their own keys" to "at least it's a pair with shim protection" because in my mind, this is the only security benefit provided by Yuil these days. 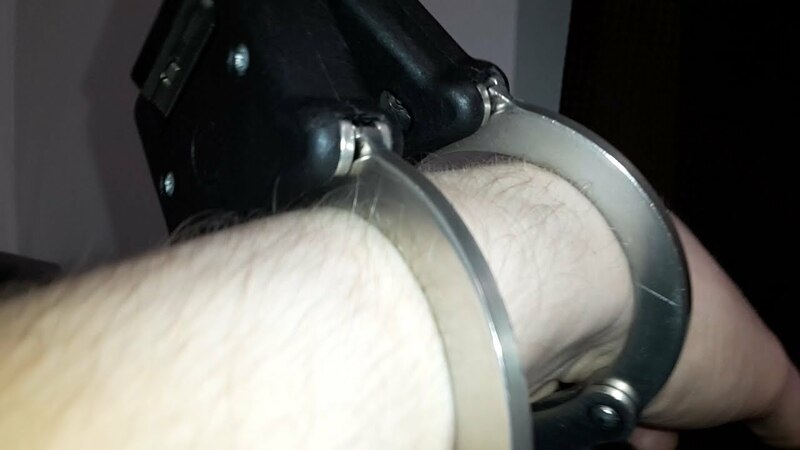 Over all very nice handcuffs and I can only hope Yuil improve their quality controls and complete the high quality feeling that you would get with tight tolerances. They are definitely worth the money though.